So I've been out of school for two weeks. I have a million things to do, but I am accomplishing very little. This really is the rest and respite part of the summer. Time to catch my breath after the school year before catching up with house things, and moving on to school things once again. Anybody with me? I have been reading for pleasure a lot, though, so I am glad it is Teacher Book Talk Tuesday. I share three of my reads today. The first one is my favorite. I got it at the bookstore with a teacher gift card. Love. 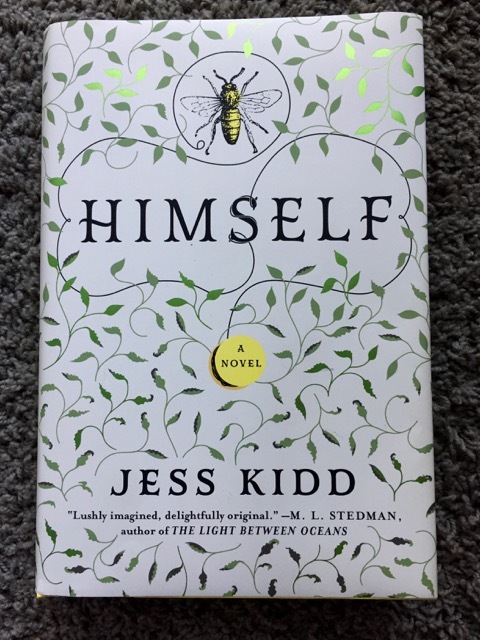 Himself is a new whodunit, ghost story, comedy, and a debut novel by Jess Kidd. Set in a small village in Ireland about forty years ago, a young man who grew up as an orphan comes back to find out what happened to his mother. I loved the setting, I loved the writing, but most of all I loved the characters– those both alive and dead. I saw this story so well in my mind's eye that I'm sure it would make a great movie with a full cast of great Irish character actors. Did you see the movie, Waking Ned Devine? Well, take that cast and you could make Himself. One minute there was mystery, one minute thrill, and the next minute humor. I really enjoyed it. This is a goodie someone dropped off in my Little Free Library... you see, I can justify buying brand new hardcovers, like Himself, because I balance them with great freebies I discover in LFL. You can pick this one up on AbeBoooks for less than four bucks right now. The Witch Doctor's Wife is set in the late 1950s in what was then the Belgian Congo. A young American missionary finds herself in a paradise, but one that is rift with racial tensions and rules she does not fully understand. The villagers and diamond mining community represent vast differences in language, culture and ways of thinking, and their interactions are both fascinating and humorous. The story hinges on the finding of a diamond, and characters with names like Ugly Eyes, Protruding Navel, and Their Death kept me turning the pages and grinning. 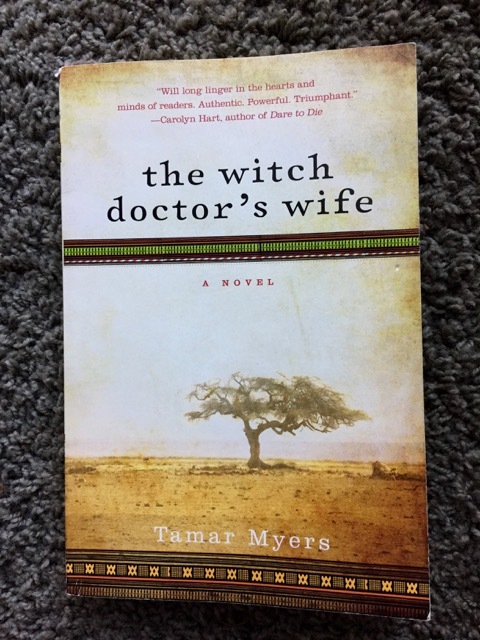 The author, Tamar Myers, grew up in this setting so the historical accuracy keeps this fictitious story grounded in real life. This last one isn't a book, but this special edition of Life kept me busy for a day or two. No, I am not a rabid, screaming, Paul McCartney fan, but he is one of my favorites. From Beatles, through Wings, to current day Paul; from Abbey Road, Band on the Run, Flowers in the Dirt, to Memory Almost Full, I love it all. I've seen a documentary or two, and read a bit, so much of this life history was not new, but I enjoyed the photos and am glad to have it on my shelf now. There are musicians who have been playing as long, but none of them have gone through the phases and stages, and are STILL writing and as involved in new musical adventures like Sir Paul. I saw him in concert last year and it was an excellent show. I walked out knowing I had witnessed a legend. 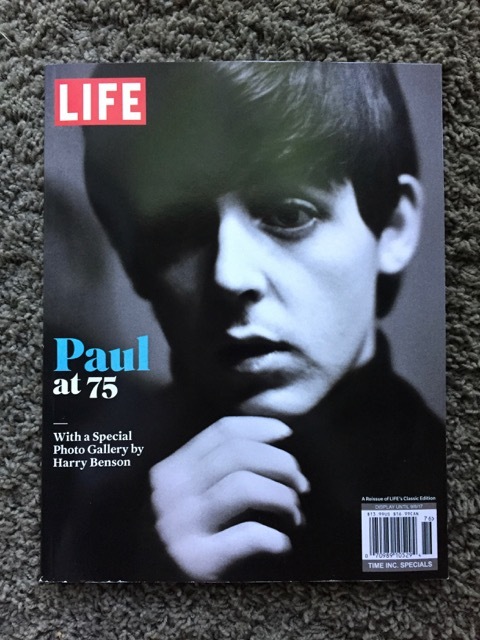 If you're a fan, I suggest you pick up this special edition, Paul at 75... I remember a cover story when he turned 64– a milestone age if you're a Beatle... where did those eleven years go?? Okay, now it's your turn. Link up below to share books for kids, for teachers, for anybody. Thanks for stopping by! Tamar Myers is one of my favorite authors! I am not familiar with this title and will have to check it out. I enjoy her Pennsylvania Dutch mystery series. Are you familiar with these books? Amusing yet a good mystery and filled with recipes.